Pope Nicholas V began in 1447 the construction of the Vatican, founded the Vatican Library and commissioned the architect Bernardo Rossellino the design of the new St. Peter’s Basilica and the painter Fra Angelico the decoration of the Niccoline chapel. In 1471, Sixtus IV commissioned the construction of a new chapel, the Sistine Chapel, with the pictorial decoration from artists like Sandro Botticelli and Pietro Perugino, that later on in 1508 Michelangelo Buonarroti repainted by orders of Julius II. The Vatican museums were born with the private works of pope Julius II that once elected pope in 1503 moved his collection to the Octagonal Court. Among the works we have the Apollo Belvedere, the Venus Felix, the Sleeping Ariadne and the Laocoon group. New buildings were constructed with galleries and passageways to connect them to the existing ones. Julius II commissioned the decoration of Raphael’s room and the Helical Ramp designed by Donato Bramante as access to the upper floors from the garden of Belvedere. In 1580, Pope Gregory XIII commissioned the Gallery of Maps on the west side of the Belvedere Courtyard. In 1740, Benedict XIX reorganized the halls of the Sacred and Profane museums and the Cabinet of Masks. In 1756, the illustrations and the archaeological discoveries of Johann Joachim Winckelmann gave a boost to the public exposition of the Vatican’s collections. Popes Clement XIV and Pius VI designed the Pio Clementino Museum and Pio VII commissioned Antonio Canova to organize the museum that bears his name. Gregory XVI, in 1837, inaugurated the Gregorian Etruscan Museum and two years later founded the Gregorian Egyptian Museum. In the Palace of Lateran, the Profane Gregorian Museum was founded in 1844 and from 1870 the exhibition of the works in the Catholic Church was reorganized. Pius XI later founded the Missionary-Ethnological Museum and inaugurated the art gallery (Pinacoteca) exhibiting pictures taken by Napoleon and restored following the Congress of Vienna in 1815. Decades later in 1970, the old Lateranensis collection was transfer to the Vatican, the museums Gregorian Profane and Pio Cristiano and in 1973 the Missionary-Ethnological Museum. The collection of Modern Religious Art and the Carriage Pavilion were founded in 1973 during the pontificate of Paul VI. 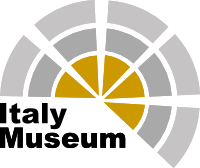 Between 1989 and 2000 the Gregorian Egyptian and Gregorian Etruscan museums were reorganized and the Historical Museum was created. What are the Vatican Museums nowadays? The Vatican Museums, located in the Vatican City State, have been included in the list of the most important museums in the world and visiting them represent an essential stage for those who visit Rome. Inside the Vatican Museums we now find the collections that over time the popes have accumulated, in addition to the great masterpieces of all time that have become the precious testimony of an era. Not only do, the Vatican Museums house the exquisite art collections, archeology and ethnology created by the various Pontiffs over the centuries, but they also feature some of the most unique and historically and artistically significant places of the Apostolic Palaces. In February 2000 the monumental entrance was inaugurated in the northern part of the Vatican walls, very close to the old entrance made by Giuseppe Momo in 1932. Here is the spiral staircase in ramp with the handrail designed by Antonio Maraini and currently used to exit the museum. Did you know that the Vatican Museums opened their doors in the 16th century and are currently visited by more than 6 million people each year? At the moment the Vatican Museums have 4 different routes to see the different galleries and break up a little the large number of visitors, all these routes are full of works of art and end in the Sistine Chapel. Did you know that Michelangelo Buonarroti, one of the most famous Renaissance artists in the world, dedicated almost ten years of his life to the paintings that cover the vault and the wall on the altar of the Sistine Chapel? The Sistine Chapel is located inside the Vatican Museums and is an essential visit if you go to Rome and Vatican City, an unforgettable experience that you can not miss. Why visit the Vatican Museums? Visiting the Vatican Museums is a unique experience that must be experienced at least once in a lifetime. This visit is a long and interesting trip that will fill you with emotions through more than twenty centuries of history and art. The Sistine Chapel, the rooms of Raphael and the art gallery (Pinacoteca) are only part of a large number of priceless collections. 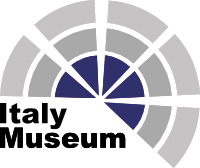 You can buy the museums ticket online and follow the audio guide or visit these wonderful museums within a small private tour. By buying in advance the Vatican Museums tickets you will enter skipping the line at the ticket office. Another highly recommended Vatican guided tour is the one that includes the Sistine Chapel and the St. Peter's Basilica. The Vatican Museums bring together one of the most impressive and extensive collections in the world belonging to the Catholic Church, they have more than 70,000 exhibits in an area of 42,000 meters. How to visit the Vatican Museums? There are many ways to visit the Vatican Museums with the aim of satisfying any type of request. It is possible, and it is highly recommended, given the long wait at the ticket office, to buy the tickets in advance that allow you to access the Museums and the Sistine Chapel. There are several ways to visit the Vatican Museums, starting with the simple entrance that can be purchased online and allows you to avoid the long line at the entrance, up to the many guided tours. If you do not have much time, you can rely on an expert guide to visit the main rooms of the Vatican Museums and the Sistine Chapel. If instead you have a little more time available, you can follow a longer tour that includes the Vatican Museums, the Sistine Chapel and St. Peter's Basilica. Both tours can also be done with a guide dedicated exclusively to you. The Vatican Museums have also created a group tour of a whole day to discover the main places connected to the Vatican, such as the Museums, the Sistine Chapel, the Vatican Gardens and the papal villas of Castel Gandolfo. If you are interested in , you can take advantage of one of the two group tours of Vatican Gardens created by the Museums: one that is done on foot and provides an explanation by a guide and another that is done by bus and provides the use of a comfortable audio guide. Within the Vatican Museums it is also possible, upon request and with a private guide, to visit the "hidden" places, generally closed to the public, like the Niccolina Chapel (Chapel of Nicholas V), the Bramante Staircase and the Cabinet of the Masks. Also, from April to October, every Friday, the Vatican Museums open its doors exceptionally even at night after 19:00 and it is possible to ask for the Vatican Museums Private Night Tour to visit them. A few steps away from the Vatican Museums and after finishing your tour of the Vatican Museum and the Sistine Chapel, there are another attraction of great importance you can visit as Castel Gandolfo, the Vatican Gardens and the St. Peter’s Basilica, which is home to the Holy See and located in a necropolis of the first century. This is the most important religious temple of the Catholicism. This basilica is named after the first Pope in the history of the Catholic religion, Saint Peter, whose body is buried inside. Its dimensions were enormous for the period of its construction. Its construction lasted 160 years and it was worked by great artists like Maderno who worked on the facade, Michelangelo in the dome and Bernini in the Plaza, turning them into unique works in the world. The Vatican Museums are closed on Sunday, except for the last Sunday of the month (no guided tours are available on this day). Access to the Vatican Museum is permitted only to visitors with proper attire. We suggest to arrive at least 15 minutes before your appointment.